The vehicle driven by SCP-2879-1. Identifying logos and numbers have been redacted. Special Containment Procedures: SCP-2879 is to be kept in a secure storage locker at Site-18. Access is restricted to personnel with Level-2 clearance or greater. Access codes are to be changed on a monthly basis. Permission to perform tests involving SCP-2879 may only be granted by researchers with Level-3 clearance or higher. All testing is to take place at the residence constructed by the Foundation ██ miles east of Site-18 specifically for tests involving SCP-2879. Contents of packages received from SCP-2879-1 are to be logged, photographed, and incinerated. Severe penalties are enforced if any personnel attempt to keep packages for themselves or conduct testing anywhere other than the designated residence. Description: SCP-2879 is a [REDACTED]-brand Video Home System (VHS) player circa 19██. SCP-2879 possesses signs of wear typical for devices of similar age. SCP-2879's initial anomalous effects manifest once it is connected to a television by a lone human while in an isolated area.1 Once connected, the television will switch on automatically and display the following text: "SPOT THE DISCREPANCY! PLEASE INSERT TAPE". Return of the Jedi: The lightsabers used by Luke Skywalker and Darth Vader during their climactic duel briefly change into the rods used by Mark Hamill and David Prowse during filming. Scarface: Tony Montana shouts "Greet my little friend!" instead of the actual quote, "Say hello to my little friend!" Die Hard: The message written by John McClain on the deceased terrorist reads "Now I have a machine gun. Merry Christmas." instead of the actual statement, "Now I have a machine gun. Ho ho ho." Once the motion picture reaches its conclusion, SCP-2879 will eject the video tape and display a thirty minute countdown timer with the following text: "DID YOU SEE IT?". The television will switch itself off once the timer hits 00:00. No further anomalous effects will occur if the viewing subject failed to consciously determine what the alteration in the film was. 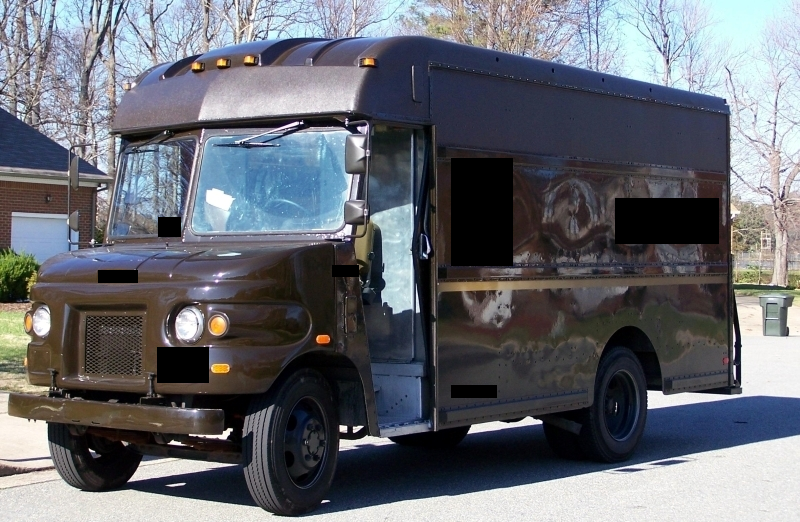 The final anomalous effect of SCP-2879 will occur fourteen business days after the viewing if the subject did indeed manage to make the conscious determination.2 A vehicle belonging to the [REDACTED] delivery company will arrive at the subject's current place of residence. An individual designated as SCP-2879-1 will then exit the vehicle and deliver a package to the subject. A Return of the Jedi theatrical poster, signed by Richard Marquand, Mark Hamill, David Prowse, Harrison Ford, and Carrie Fisher. A transparent plastic package labelled "Yayo", signed by Brian De Palma, Al Pacino, Michelle Pfeiffer, and Steven Bauer. Chemical analysis of the contents confirm that the package contained nothing more than typical kitchen flour. A gray sweater reading "NOW I HAVE A MACHINE GUN. HO HO HO", written in a substance identified as being false blood. The sweater is signed by John McTiernan, Bruce Willis, Alan Rickman, and Reginald VelJohnson. Objective: Detain SCP-2879-1 and determine its anomalous properties, if any. Results: SCP-2879-1 was detained without incident during a delivery. A thorough interrogation determined that SCP-2879-1 suffers from a severe level of amnesia that prevents it from recalling events prior to arriving at the latest viewing subject's residence. Subsequent DNA testing confirmed that SCP-2879-1 is a Caucasian male in between the ages of 25 and 30 with no abnormal physical characteristics. Objective: Track SCP-2879-1's vehicle and determine where it goes after leaving the viewing subject's residence. Results: Agent ████ attached a GPS tracking device onto the underside of SCP-2879-1's vehicle during a delivery. Eight minutes and thirty-two seconds (00:08:32) after departing, the tracking software lost communication with the tracking device. Field agents sent to investigate the last known location of SCP-2879-1's vehicle were unable to determine its location. Objective: Tail SCP-2879-1's vehicle for as long as reasonably possible. Results: Agent ████ attached a GPS tracking device onto the underside of SCP-2879-1's vehicle during a delivery in the same manner as before. Upon SCP-2879-1's departure, Agent ████ maintained a visual on the vehicle with high-powered binoculars while an unmarked Foundation helicopter manned by Agent █████ departed from Site-18 and moved in to intercept. The helicopter maintained a visual on SCP-2879-1's vehicle for two hours and eighteen minutes(02:18:00) before returning to Site-18. Two hours, forty-six minutes, and twelve seconds (02:46:12) after the initial departure of SCP-2879-1's vehicle, the tracking software lost communication with the tracking device. Addendum: SCP-2879 was recovered from the home of a New Mexico resident by the name of ████ ███, who had been selling excessive amounts of autographed merchandise for various movies on ████.com. The individual's ████ account was taken down upon discovery by Foundation operatives, and he was administered amnestics after an interrogation in which he claimed to have purchased SCP-2879 from a local pawn shop whose owner described it as once being used for "some old game." Buyers of the sold merchandise were informed by Foundation operatives posing as ████ employees that the merchandise was discovered to consist entirely of worthless forgeries and were subsequently provided financial compensation. During a cursory investigation, the mentioned pawn shop was found to have closed down fourteen business days after selling SCP-2879 to ████ ███. Attempts to locate the owner are ongoing. Introducing "Spot the Discrepancy'', the hottest game of the generation! The movies you know and love have been altered, and it's your job to discover what was changed! All you need to play is a copy of a movie you love in the VHS format and one of our specially-designed VCR's, available at a store near you. This is a single player experience, so wait your turn! Thanks to the ever-abundant generosity of [COMPANY NAME REDACTED], we are able to ship rewards straight to your door in only two weeks at absolutely no charge to you! "Rewards? ", you ask? That's right, winning this game grants you ownership of limited-edition merchandise signed by cinematic legends George Lucas, Al Pacino, Steven Spielberg, Mike Myers, and many, many more! So remember: When boredom is your enemy, pick up and play Spot the Discrepancy! Investigations into the poster's claims confirmed that the mentioned company never created the entertainment product described by the poster, nor was the mentioned delivery company ever in the described partnership. When interviewed by Foundation personnel posing as freelance reporters, the mentioned individuals could not recall autographing merchandise for any games matching the description of the one presented by the poster. Additional instances of SCP-2879 have yet to be discovered. 1. The presence of video surveillance equipment does not disrupt the anomalous effects of SCP-2879. 2. Subjects who viewed the motion picture via remote surveillance cannot trigger the final anomalous effect.